Woodlane Countryside Centre in Sheffield is another one of those hidden gem wedding venues. Its a grade 2 listed former farm with the most beautiful space for weddings. Outside the grounds are amazing too – we have photographed an outdoor wedding there in the height of summer – just amazing. The grounds are full of fabulous wild flowers – they take their nature conservation very seriously. The old tree outside is spectacular too. A fantastic place for any wedding day in Sheffield! 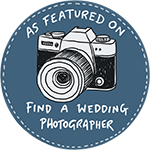 Helen & Paul are Sheffield wedding photographers – we love to photograph weddings in Sheffield, the Lake District and all over Yorkshire!